Just a tiny reminder – more than writing jobs online, we have a host of resources to help you. Check this updated list of facts about copyright, for example. It’ll help you make sure you have tight contracts. 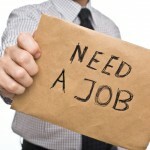 Once again, we’ve scoured the web for writing jobs online for you, so feel free to browse away. Here’s to a whole new (awesome) week! How did your weekend go? I hope you were able to spend a lot of time away from your computer and that you were able to go outside and enjoy yourself. It’s the start of the week once more, and here are new freelance copywriting jobs, blogging jobs, and other writing-related gigs for you. Here are your writing jobs. Welcome to today’s list of paid freelance writing jobs. Here’s to finding a new gig to add to your stream of income. It’s the first of the month again – time for a fresh start! Even though the first week looks like it’s going to be very busy, I am looking forward to the weeks ahead. I hope you are, too! Here are your paid freelance writing jobs for today. Have a great Monday! Thank goodness it’s Friday! I hope you all had a great week. To welcome the weekend, here’s a useful read on taking advantage of Google Alerts: How to Use Google Alerts to Help you Find Freelance Writing Gigs. Have a great weekend, everyone, and good luck with today’s paid freelance writing jobs!